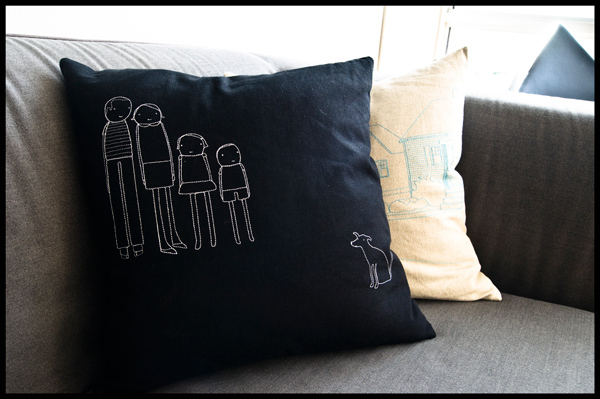 I have been looking for some nice pillows for our couch for a long time. My wife---for whom total comfort on the couch is an absolute necessity---was falling asleep on these ratty old queen-sized pillows in ratty old pillowcases and every time guests stopped over I had to rush to throw them in the closet. They were seriously gross. Sometimes I would find the dog cuddled up on one down on the floor. 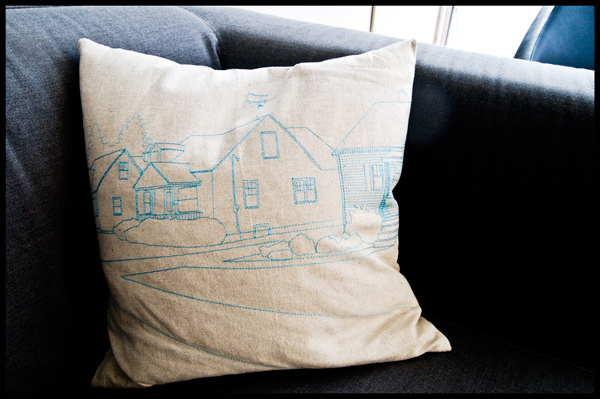 The last time we were in Cincinnati, I stopped into this little store on Vine Street and I saw one of these pillows embroidered with the image of suburban ranch homes. I loved it, but it was the wrong color for our room. 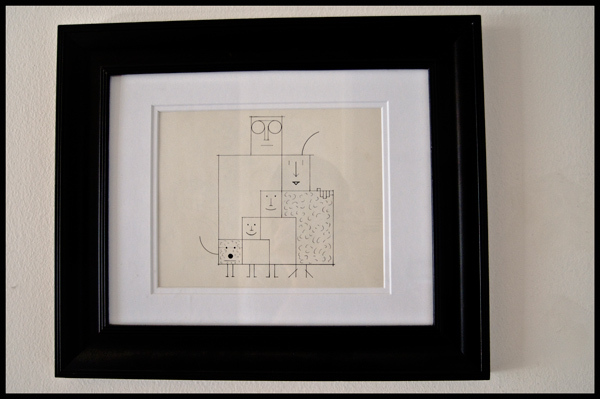 When I got back to the hotel, I told my wife about it and the small company that makes them: K Studio. I'd seen their products online, but it wasn't until I'd seen them in real life that I realized how cool they were, and it wasn't until I talked to the proprietor at MiCA that I learned K Studio was based in Grand Rapids, a wonderful city in western Michigan where my wife and I have lived in the past and just a short drive from the smaller cities where we were raised. He also told me that it was a small business venture between a daughter and her mother, with the daughter doing the design and her mother working with the embroidery aspect. In short, I was in love with this company. We've now added a couple of simpler pillows to the couch as well, and I've thrown the ratty old pillows into the dog's crate. We hadn't done anything nice for the house in a long time, but just adding a couple really cool pillows to our living room has made it seem fresh and new.